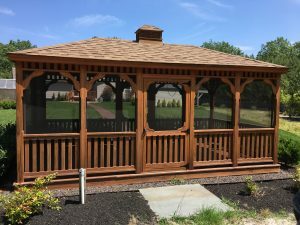 Staining is a beautiful option for homes, decks, sheds, and so much more! However, if applied incorrectly, it can look tacky, unprofessional, and messy. 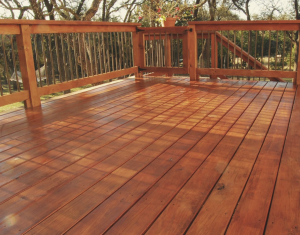 The whole idea of staining is to enhance the beauty, while also adding protection to the wood that is to be stained. 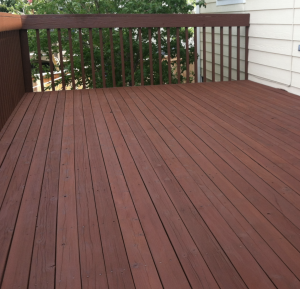 There are many kinds of stain that ranges from concrete stain, wood stain, solid stain, and semi-transparent stain. DJ’s painting does all of the above. There are certain stains that look better on different types of wood. 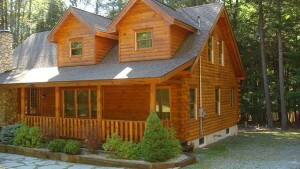 There is also the option of using a semi-transparent stain or a solid stain. The semi-transparent stain gives the wood a more natural look, while just adding a little bit of color. 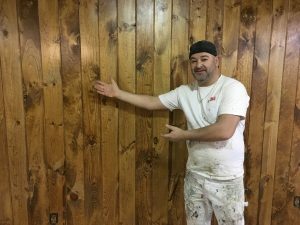 The solid stain, however, completely coats the wood in a solid color. 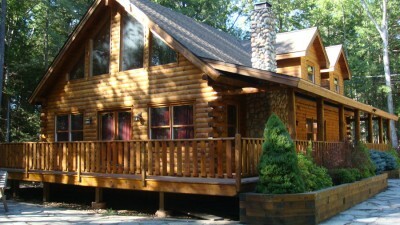 Our expert painters have vast experience preparing and applying stain to log homes, custom patios and interior trim. We know when to recommend a solid stain or a semi-transparent stain. We will also state which manufacture will work best in different situations. 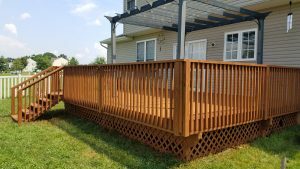 The crew at DJ’s Painting is here to help you! We can show you the best stain for your project, and also apply it correctly for a flawless look! Contact us today for a FREE quote!